Given that our sister title Autosport's annual Top 50 Drivers of the Year countdown is one of its best-loved features, we at Motorsport.com - given our extensive coverage of the two-wheeled racing world - felt we should start giving the same treatment to the top motorcycle racers of the year. As such, we've assembled our first-ever Top 20 countdown (should there be demand, we may expand that number in future, but for now we felt 20 was an appropriate number). Part 1, featuring positions 20-11, is free to read, while Part 2, featuring 10-1, is exclusively for Motorsport.com's Prime subscribers. Before we get underway in earnest, we should point out one thing - unlike the Autosport Top 50, which incorporates both race and rally drivers - we have decided not to include off-road racers from disciplines such as motocross, enduro and the Dakar Rally. 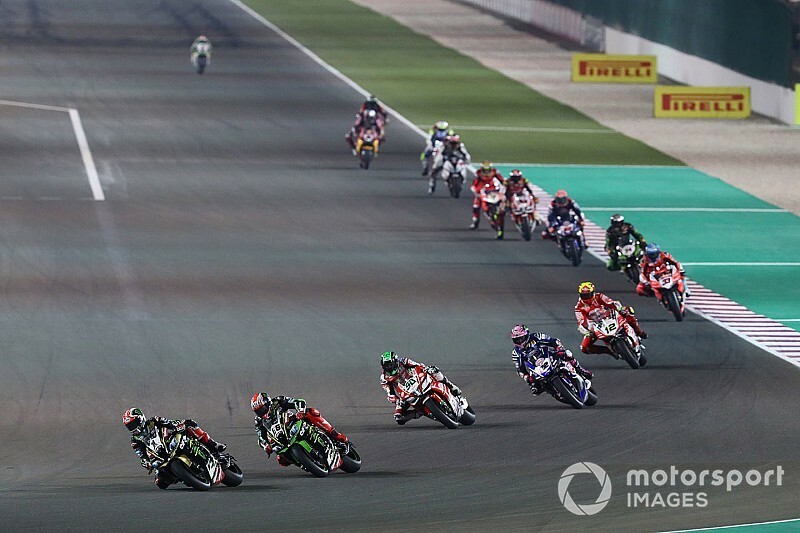 Naturally, MotoGP and its support categories account for much of the list, but we have also considered the leading lights from World Superbike, World Supersport, Supersport 300, British Superbike, MotoAmerica, All-Japan Superbike, CEV Moto2, CEV Moto3 and Road Racing to compile this list. For most of 2018, Oncu was nothing more than a promising young talent. 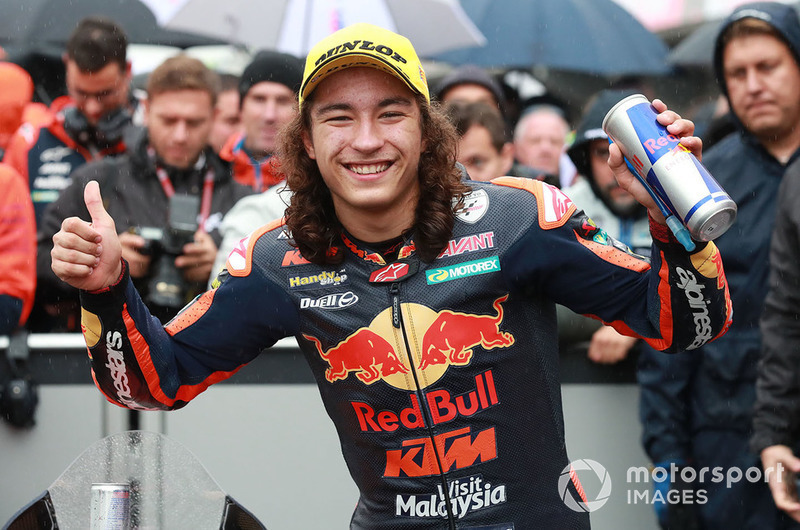 He dominated the Red Bull Rookies Cup, sure, but the past three champions, Bo Bendsneyder, Ayumu Sasaki and Kazuki Masaki, didn't or so far haven't made much impact in Moto3, so Oncu’s success didn’t automatically make him a future star. But the decision for the young Turk to make a wildcard appearance in the Moto3 season finale in Valencia, ahead of a full-time move to the series for 2019, certainly did. The pressure was off Oncu, as he had nothing to lose by giving himself an early debut and also some crucial experience in the series, but the 15-year-old ended up marking himself out as a serious contender for next year. The Valencia season finale was severely hit with wet and cold weather but Oncu was in the top 10 already in both Friday practices, and qualified a brilliant fourth for the race on Saturday. Conditions were perhaps at their worst during the race, the first part of which became a crash-fest with riders making mistakes left and right. But Oncu not only stayed on, he was one of the fastest men on track and after Tony Arbolino and Marco Bezzecchi crashed from first and second, Oncu found himself in the lead. At that point, he led the Gresini duo of Jorge Martin and Fabio Di Giannantonio but the pair didn't make any inroads. Instead, Oncu pulled away and at one stage even led by a whopping eight seconds, and eventually won by 4s. At 15 years and 115 days, Oncu became the youngest-ever rider to win a Grand Prix, surpassing Scott Redding's decade-old record, and also was the first to win on his GP debut since Noboru Ueda in 1991. "My goal was to finish in the top five, as I wanted to beat the top riders in the class before they made the move up to Moto2. When the two riders leading the race went down, I was a little scared, but finally I won the race and I'm very happy. "I made a great start; In fact, I think it was the best start I've ever had. During the opening laps I tried to follow the leading riders, but at Turn 6 I almost crashed so I decided to ease off a little; finishing third would have been a great result for a wildcard. "Shortly after, I saw the two riders ahead of me crash out. At first I was a little worried because when a rider crashes it is a warning that you should be more careful. Unexpectedly, I was left alone at the front. "When I saw that I was ahead of the chasing group by more than five seconds, I decided that I had to go for the victory. It's definitely a great feeling. It’s a dream come true." Davies once again proved to be Jonathan Rea's closest challenger in WSBK, though a year affected by injury and a shift in development focus from Ducati from the V2 to next year's V4 R bike meant 'close' was a relative term. The Welshman won twice early in the season and was a consistent podium visitor, despite the V2 being hit hard by the new rev limits, while a late-season right shoulder injury did nothing for his cause. Finishing the year 189 points adrift of a dominant Rea at the close of the V2 Panigale era, Davies will be hoping Ducati has delivered a Kawasaki-beater with its new V4 R next year. If WSBK was Rea-less, the 2018 championship battle would have been a much tighter affair, with Davies emerging the victor from a season where the top four in the standings all won at least four races each. 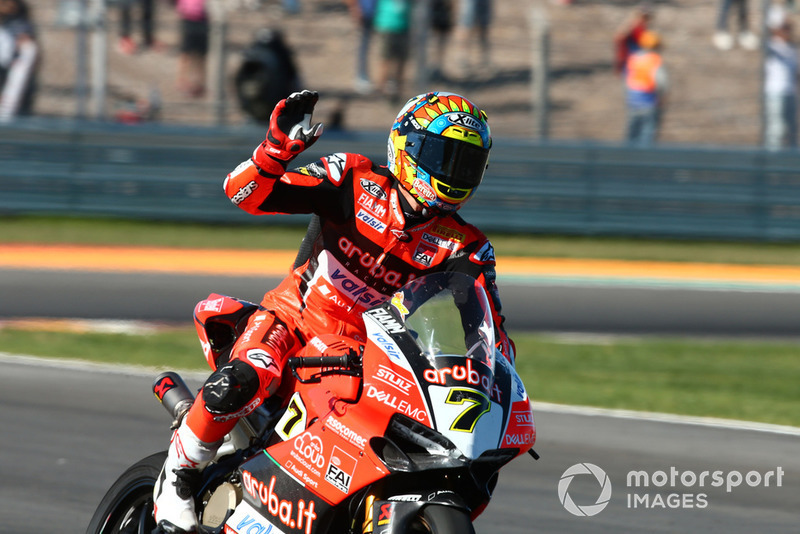 With eight wins, Davies would have sealed the championship with a 41-point margin over Yamaha's Michael van der Mark, who would have paid dearly for scoring just one podium in the final five races. Tom Sykes would have been Kawasaki's top rider in third in the standings, a further nine points behind van der Mark, while Marco Melandri would have been 74 points adrift of his Ducati teammate in fourth. Of course, injury in the closing stages would still have hindered Davies. But given how he would have emerged with three third and a win from Portugal to Argentina, goes to show just how good a job he did in reality. Salary demands aside, the reason Petrucci will be on a works GP19 next year is also the reason he's on this list – when the factory Ducatis were spluttering at the start of the year, he was there to pick up the slack. But while the second-place finish in Le Mans, the fourth race of 2018, secured him the biggest contract of his lifetime, it would also be his only podium in the campaign. 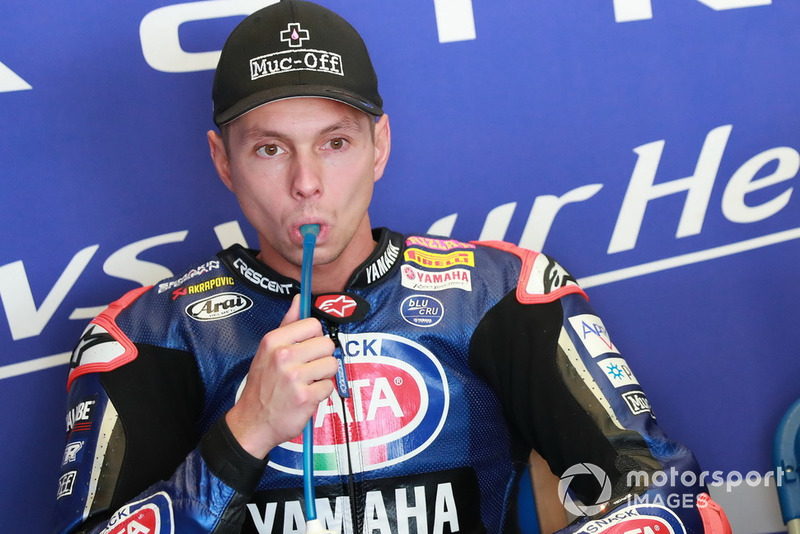 His stock has trended downward since, and he, like no other factory rider in MotoGP, will begin 2019 under pressure. A one-year deal, coupled with Ducati all but publicly admitting that it jumped the gun on ditching the rejuvenated Jorge Lorenzo, gives Petrucci a real 'caretaker manager' vibe, making it seem like he's warming the seat for either Jack Miller (who likewise peaked early and just misses out on making this top 20) or Ducati's new golden boy Pecco Bagnaia (who is obviously included). The affable Petrucci wouldn't deserve such treatment, but he did not strengthen his case over 2018. At a certain point in the season, just as Ducati established itself as the bike to have, the results just stopped coming. He did put enough points on the board to record his best tally in MotoGP – and deserves credit for staying in the independents' battle (which he would've likely won if conditions in Valencia were just a little more palatable) but then again GP18 was by far the best bike he has ever had available to him. 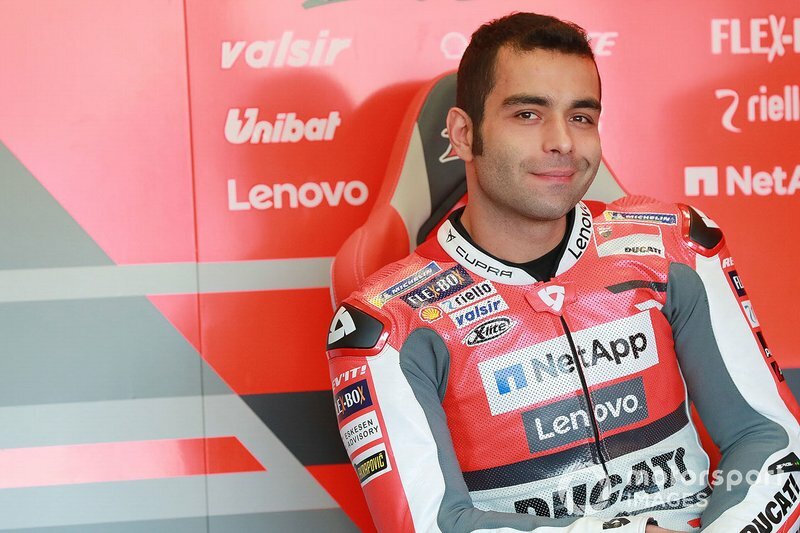 The good news is Petrucci has looked faster and more confident in works colours in post-season testing. He's had ups and downs every year – so perhaps factory backing could give him consistency, which in turn would enable him keep the job long-term. Could a rules tweak help Petrucci fulfil his potential? There is one thing that many reckon could help Petrucci reach the next level for MotoGP, but unfortunately for the Italian it is almost certainly out of his hands. It's a regulatory matter that has come up again recently: whether MotoGP should introduce a combined rider/bike minimum weight like in Moto3/Moto2 instead of keeping it bike-only like it does now. Petrucci says he shed four kilogrammes in preparation for 2018, but he and Scott Redding remained by far the heaviest riders on the grid. 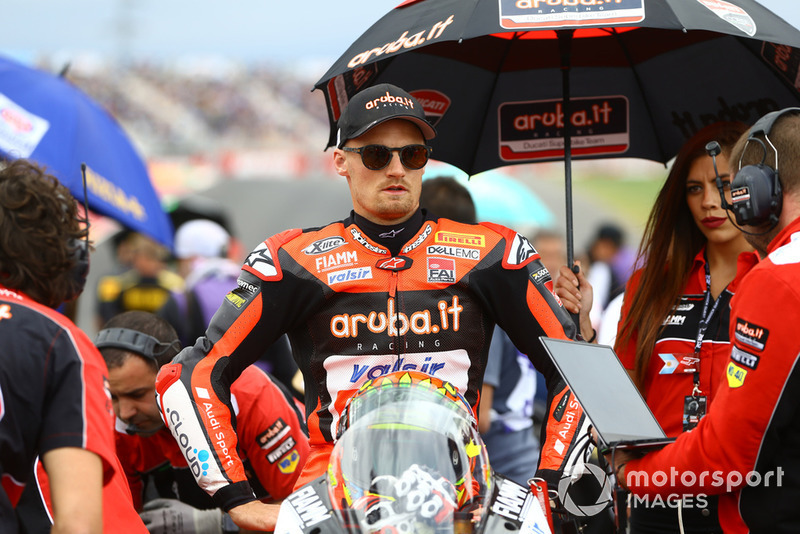 This has been a major factor in his recurring overheating tyre problem, which contributed to him being left well adrift of the works Ducatis in the latter part of the year. “In some circuits I have some parts that I got small advantage but I think the percentage around the championship is 20 percent for me and 80 percent [against] - so sometimes, especially when is hot, I have a big disadvantage,” Petrucci explained during post-season testing, adding that he was planning additional weight loss. There is certainly no public consensus in the MotoGP paddock that the playing field needs to be evened out for riders who are considerably heavier than the premier class' 67kg grid average. Dani Pedrosa certainly didn't think so, so often unable to get heat into the tyres at all in colder conditions because he weighs a meagre 51kg. But Pedrosa has retired, and his spot as the next-lightest rider is set to be taken by newcomer Joan Mir – who not only might bulk up yet, but is also much closer to the average at 60kg. This has prompted Ducati tech chief Gigi Dall'Igna to suggest now might be the time to count rider and bike weight together. “Honestly in the past was quite difficult to speak about that, also because Pedrosa is in the championship,” Dall'Igna said. “And if you do a rule like that, for sure you will penalise a lot Pedrosa. “Now maybe is time to rethink a little bit the situation and I think that this could be a fair rule for everybody. Because you have to take in account the style of the riders and not the weight of the rider. 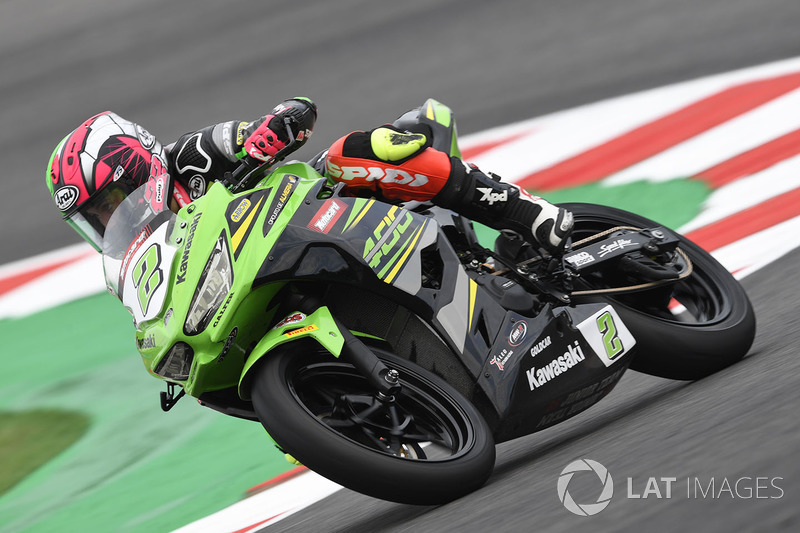 Carrasco sent shockwaves through the world of motorsport in 2018 when she became the first ever female to win a motorcycle road racing world title, after clinching the World Supersport 300 crown in dramatic fashion at Magny-Cours. 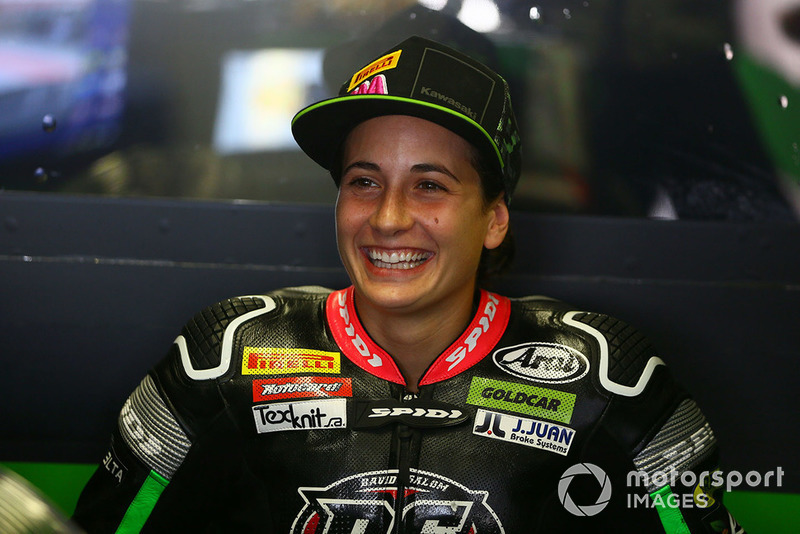 The former Moto3 racer took dominant back-to-back wins at Imola and Donington to take the championship lead, and triumphed despite running a Kawasaki lower in power and 14kg heavier than her rival's bikes due to performance balancing by the rulemakers for the remaining rounds. Whatever happens in 2019 – she will likely remain in SSP300 – the 21-year-old's achievements this year will continue to inspire for years to come. “It's true that the start was very good and until the middle of the season I was looking more or less easy to win, but after the regulation change, the races got very complicated. “The change was progressive and in the second race the revs were lowered, but maintaining the weight. Then they lowered the weight and more the revs, and for half of the year they left us less revs and a lot more weight. Q. Did this situation affect you emotionally? Q. Did you ever think that the title was slipping away? “Until the end no. The advantage in points that I had from the beginning of the championship helped me to be calm, even though we did not finish well in the races. I kept adding points and I could keep the margin. "But from Portugal things got a bit more complicated. In the last race I went out to try to get as far ahead as I could, but thinking more about the result of the race than in the championship. If, before the start of the 2018 season, a casual Moto3 follower was advised to keep an eye on Bezzecchi, they could have been forgiven for saying 'Who? ', or at least treating that claim with some level of scepticism. 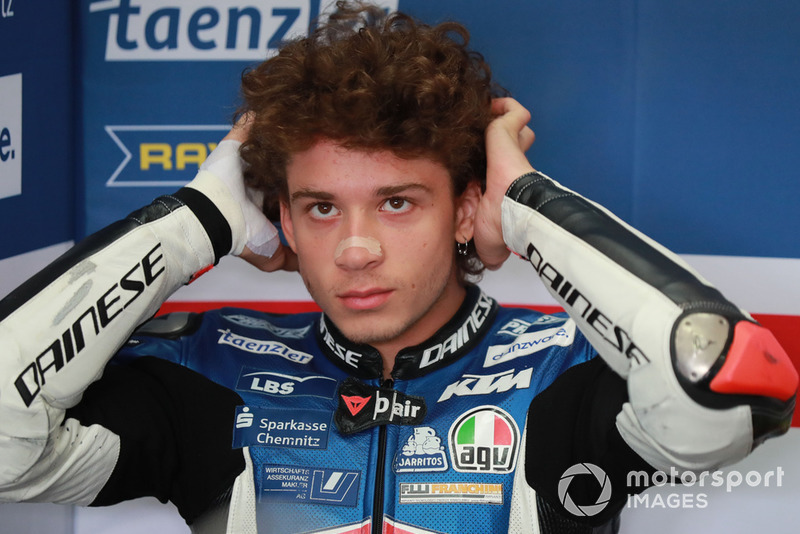 Bezzecchi had without a doubt the biggest breakthrough in grand prix racing this year, and went from a largely under-the-radar rookie season to potentially the next big thing on Valentino Rossi's VR46 Academy roster. While successful in national junior championships, the Rimini-born Italian made his Moto3 debut last year on the uncompetitive Mahindra and, apart from a surprise podium at a wet Motegi, he couldn’t finish higher than 14th. But, after securing a ride with the PrustelGP KTM squad, Bezzecchi was suddenly one of the benchmark riders of the season and he was consistently in victory contention every round. While ultimately there is no denying that Jorge Martin was the deserved champion of 2018, Bezzecchi managed to eclipse the likes of Enea Bastianini and Aron Canet, two pre-season title favourites. Bezzecchi in the end had to settle for third behind his rival Fabio Di Giannantonio, but it is clear which of the two had the better machinery. Bezzecchi had more than his fair share of crashes, but some of these were not of his making (Thailand and Australia spring to mind) and he was by far the best KTM rider in the standings. Further underlining just what an exciting prospect Bezzecchi is the fact that Tech 3 boss Herve Poncharal made him a target for a 2019 Moto2 ride as early as the second round of the season. The move came off and Bezzecchi will continue to compete with a KTM, but this time it will be with one of the top Moto2 outfits. With the intermediate class switching to a new-generation Triumph engine in 2019, past experience could well be less important and rookies such as Bezzecchi could do serious damage from the get-go. "As soon as we started to talk about Moto2 with KTM I told them, and this was in Argentina, that the guy I would like to have is Bezzecchi. This was before even he won his first race because he won his first race in Argentina. And KTM told me, [we’ll try] everything we can do because we believe in him. "I had the luck to follow Valentino [Rossi] when he first arrived in 125cc and Marco reminds me of the young Valentino, unbelievable. The size, the face, but also the way he behaves and talks. I just hope he'll have the same career. "For Marco it was clear he wanted to remain inside the KTM operation and when we start to talk about Moto2 together, he was full on. It is a big challenge because all through this season there was a big rivalry and fight for the title between Marco and Jorge. "Now they both move to Moto2 with KTM, same bike, same sponsor, but different organisation [Martin signed for the Ajo KTM team], it will be interesting to follow that in Moto2." Van der Mark's debut Yamaha season in 2017 was underwhelming, but the former Supersport world champion emerged as the Crescent-run outfit's leading light this year after taking the R1 to its first WSBK victories since 2011 with a sensational double at Donington. The Dutchman amassed a further eight podiums to end the year third overall, 85 points clear of Yamaha teammate Alex Lowes. 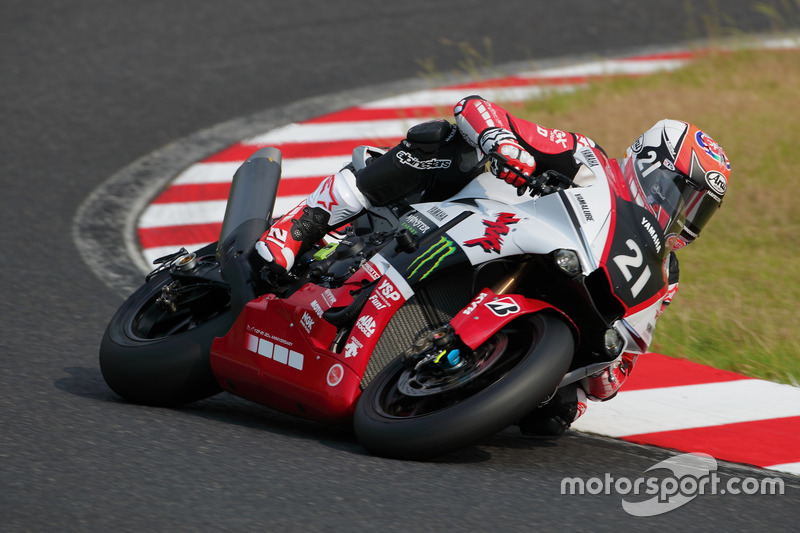 He also helped Yamaha to a third straight Suzuka 8 Hours win. With more support coming from the Iwata factory this year, van der Mark will be expected to step up even more next year and mount a title tilt against the might of Kawasaki and Ducati. Q. Was third the best result possible in 2018? “I think we exceeded expectations with the third place in the championship. 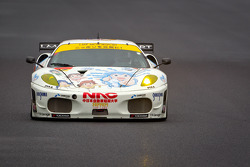 Our goal was top five and that we were able to fight for top five in every race. We completed our goals to do that and it’s good to do it even better. Q. Was there no opportunity to fight for wins after those race? Q. How would you rate you season and why? Q. What was your highlight of 2018? “Donington was great when I look at Superbikes, but Suzuka was another highlight. Our first win in Donington was very much unexpected and the second even more, that was a brilliant weekend in those circumstances. Q. Low point of the season? “It’s hard to say but the last two weekends were bad. We barely could ride there [in Argentina] and those were the most difficult moments of the year. After that we went to Qatar where it went wrong in first practice. I crashed very hard and wasn’t able to sit on my bike in a good way. 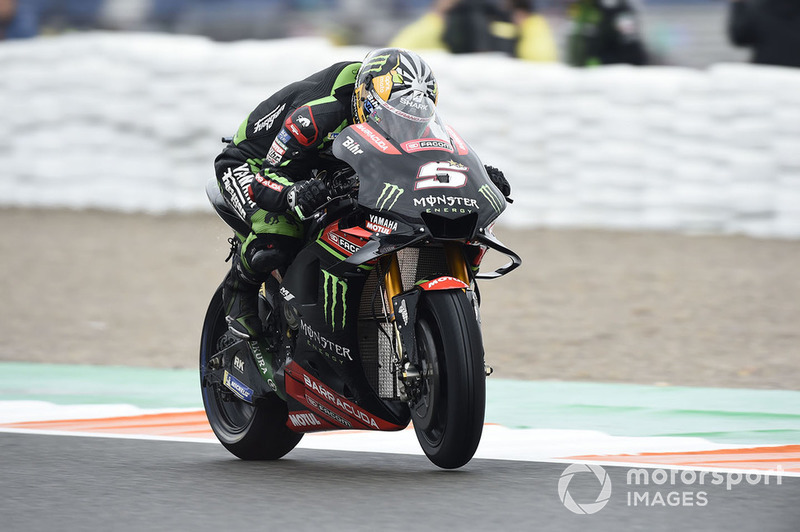 When you've as many as four MotoGP factories vying your signature, you know you must be doing something right - and that's the exact scenario that 2017 star rookie Zarco was faced with in the early part of the 2018 campaign. Having kicked off his season with pole in Qatar and second in Argentina, Zarco and his manager Laurent Fellon spurned Honda, Suzuki and Ducati, instead shaking hands with KTM and its title sponsor Red Bull in Austin. He then went on to take second again in Jerez (albeit slightly fortuitously) and grab another pole in front of his adoring public at Le Mans. That was the high-water mark of Zarco's season. The following day, he crashed out of the lead, denying himself what would have been an extremely popular maiden MotoGP win. And, for several races after that, the 28-year-old seemed a shadow of his former self, failing to breach the top five again until September's Thailand race. 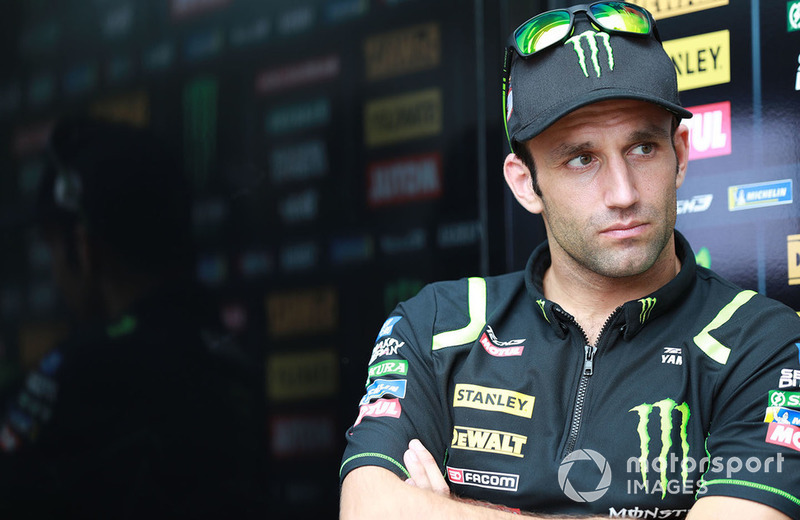 Clearly, Zarco grew frustrated with the limitations of his two-year-old Yamaha; at Brno he even admitted he had been riding like a "guy going to buy bread every morning". But he perked up again late in the year as he turned his focus towards defending his independents' title, with a final podium for Tech 3 in Malaysia helping him achieve that goal. With Tech 3 ending a 20-year association with Yamaha in favour of a new alliance with KTM in 2019, we look back at some of the popular French squad's best seasons. Shinya Nakano, 2001: After losing out to Oliver Jacque in the fight for the 250cc crown at the turn of the century, Nakano emerged as the stronger of the pair as they graduated to the 500cc division together in 2001. The Japanese youngster was a regular top-five finisher on the Yamaha YZR500, and even took a podium at the Sachsenring on his way to fifth overall, 10 places ahead of Jacque. Colin Edwards, 2009: Three tough years alongside Valentino Rossi in Yamaha's factory team for Edwards were followed by four seasons with Tech 3, the best of which statistically was the 2009 season. Comfortably seeing off the threat of James Toseland, Edwards matched Nakano's 2001 championship placing and achieved its best-ever premier class race result, second, at a sodden Donington Park. Andrea Dovizioso, 2012: When Honda slimmed down its work MotoGP line-up from three bikes to two for 2012, Dovizioso was the odd man out, and replaced Edwards at Tech 3 with the goal of getting a works Yamaha seat. 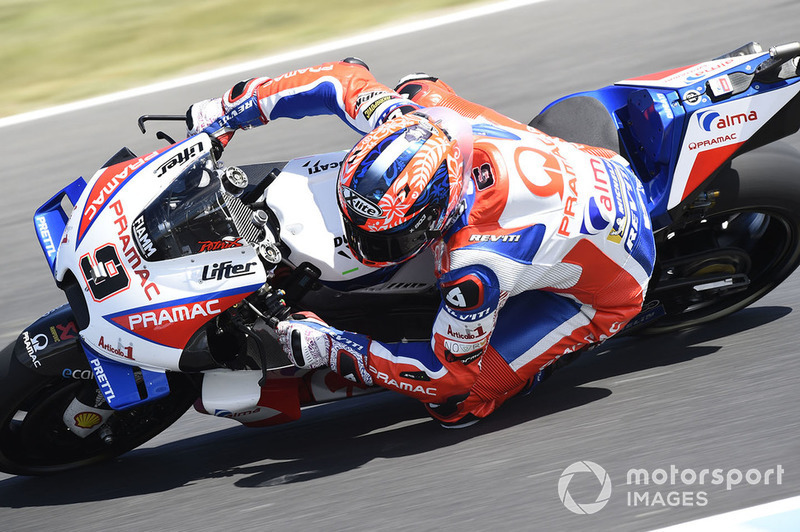 Things didn't pan out that way, but the Italian rider's 2012 campaign was near-faultless, as he scored no fewer than six third-place finishes and ended the year fourth in the standings ahead of factory Yamaha man Ben Spies. Cal Crutchlow, 2013: Dovizioso's move to Ducati in 2013 paved the way for WSBK convert Crutchlow to emerge as Tech 3's leading light. And although the Brit didn't quite match Dovizioso's points tally of the previous year, he did manage to score a brace of second-place finishes and even scored two poles, the team's first ones since 2010. Johann Zarco, 2017: Joining MotoGP as a two-time Moto2 champion in 2017, Zarco made an immediate impression by leading on his debut in Qatar before crashing - which would be his only non-finish of the whole year. He regularly embarrassed the factory Yamahas in a superb rookie campaign that included two poles and three trips to the podium, including a memorable second-place on home turf at Le Mans. 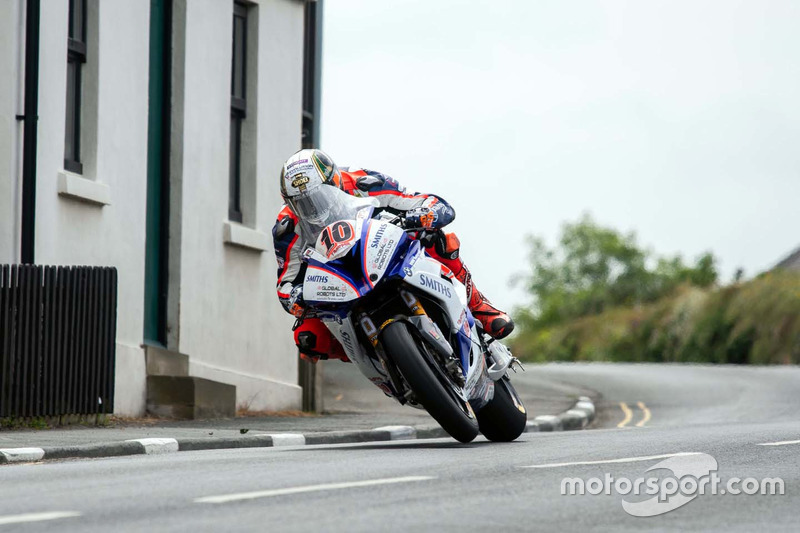 Hickman became the fastest road racer in history in 2018 when he smashed the outright Isle of Man TT lap record in a thrilling Senior race with a 135.452mph on his final tour. The Smiths BMW man won that race, adding to his maiden TT victory claimed earlier in the week in a similarly enthralling Superstock race, in which he recovered from a mistake which cost him 12 seconds to to win by 4s. Hickman also won two events at the Ulster Grand Prix, and secured his third Macau GP triumph in four years, while finishing fifth in the British Superbike Championship. It is perhaps no surprise the honour world's fastest road racer went to Hickman after his sensational 135.452mph final lap of this year's stunning Senior TT. Hickman seemed destined for TT greatness from his very first appearance at the event in 2014, when he became the fastest ever newcomer with an incredible 129.104mph lap – a record which still stands today. 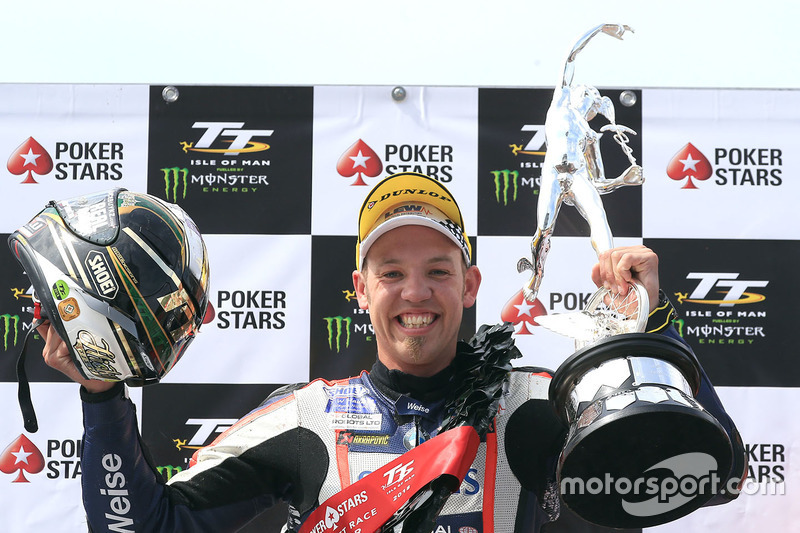 Beginning to find success in British Superbikes at the same time, Hickman took his first international road race victory a year later in a wet Ulster Grand Prix feature races, before adding to his scorecard with a win at the Macau GP. But it would not be until '17 when he scored his maiden TT podium, taking five rostrums from the five events he raced. This placed him as a favourite for success this year. With this came the pressure of expectation, and this was only heightened by the fact Hickman had become one of the TT's biggest draws, thanks in no small part to his association with British heavy metal legends Iron Maiden. Not only sponsoring him with their Trooper beer brand, Hickman has appeared on the tour t-shirt for the band's '17 Book of Souls and '18 Legacy of the Beast tours. Hickman rose to the occasion. His debut TT win in the Superstock race was the display of a man fuelled by hunger for success, his recovery from an just moments into his opening lap – which lost him 12s – to seal victory with a near-lap record aboard a BMW essentially off the showroom floor. With the monkey off his back, Hickman almost looked a new rider in the Senior as a he battled all race with Dean Harrison, transforming a 5s deficit after his final pit-stop to emerge victorious by just over 2s. Hickman's rise to road racing stardom has been rapid, and has proven he can cope with the weight of expectation his talent and his worldwide exposure have brought him. At just 31, Hickman has time on his side to seriously work his way up the winners list, and almost certainly heads into next year as TT favourite. 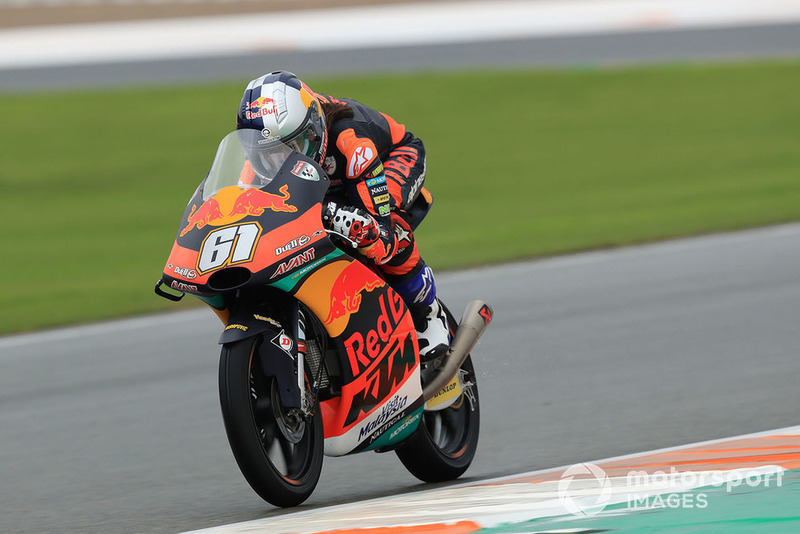 Having dominated the end of the 2017 season, Oliveira entered 2018 as a favourite for the Moto2 crown as KTM looked well positioned to end Kalex's long intermediate class reign. While ultimately that didn’t happen, Oliveira can still be pleased with his season, especially as his goal of making it to MotoGP was accomplished. Oliveira won three races, stood on the podium 12 times and was only once outside of the top 10 all year. And that was despite struggling qualifying - the Portuguese rider rarely started races from as high up on the grid as his title rivals, but nevertheless he made several spectacular recoveries from outside of the first three rows. 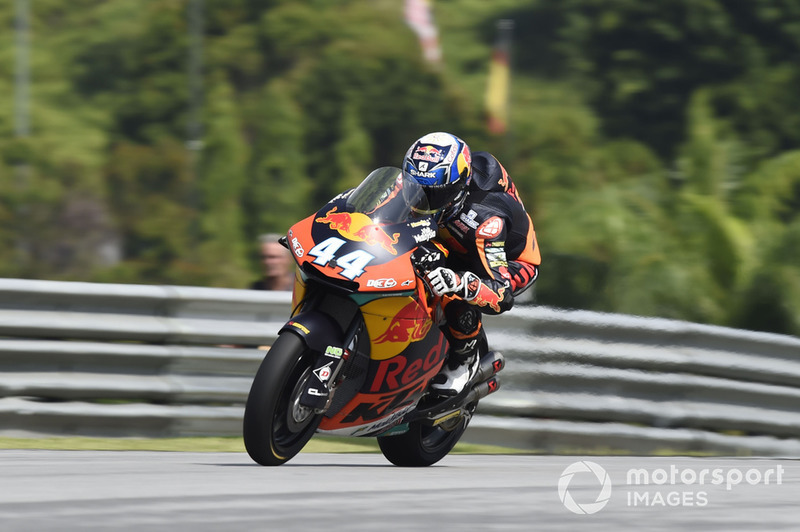 Those issues, which were publicly highlighted by KTM motorsport boss Pit Beirer mid-season, didn't stop Oliveira from finishing just nine points behind champion Pecco Bagnaia in the final reckoning. Had their positions been reversed in their thrilling Austria battle, Oliveira would have been the champion. Oliveira ended both Valencia and Jerez MotoGP tests as the slowest 2019 full-time rider, and the Portuguese man looks set for a difficult rookie season as his Tech 3 team also adapts to its new KTM machinery. Fellow rookies Bagnaia, Joan Mir and Fabio Quartararo are likely to be more in the spotlight next year. But Oliveira is less the instinctive, fast from the get-go kind of rider and more the cerebral type who reaches perfection step-by-step. 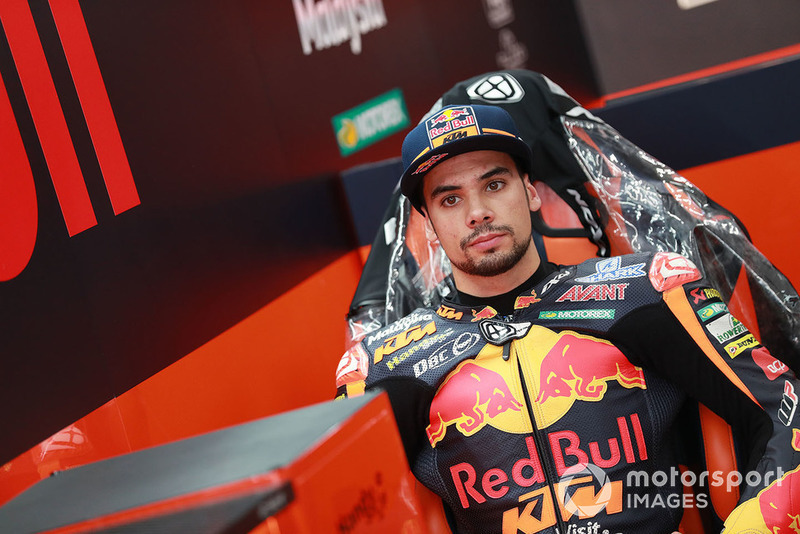 If KTM recognises that, and Oliveira is given enough time to develop, he will surely become a strong asset for the manufacturer both on the track and in the bike development department. Throughout the 2018 Moto2 season, Oliveira started only a single race from the front row: Austria, where he started and finished second after a close duel with rival Bagnaia. His qualifying woes persisted throughout the entire season, but they were most apparent in the first half, where seven whole rounds passed without him cracking the top nine in qualifying. And yet, he remarkably finished all those races in the top six, won one of them and was on the podium in more than half of the cases. 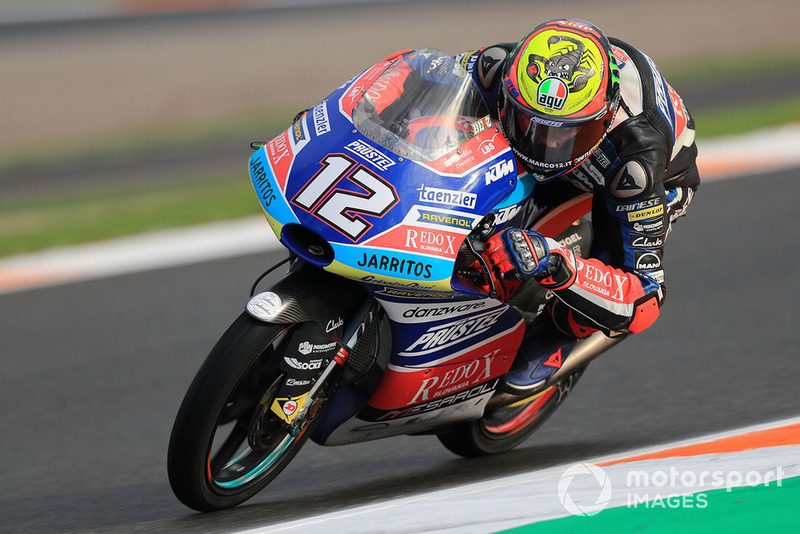 He secured second place from 14th at Jerez, and was the only rider to get close to a dominant Lorenzo Baldassarri, who beat everyone else by over six seconds. Two rounds later he was able to beat Baldassarri as well to win at Mugello from 11th, but he was perhaps even better at Barcelona next time around, where he gained 11 positions in one lap and marched to second from as low as 17th. In the second half of the season, Oliveira made some improvements in qualifying and became a more frequent podium visitor. 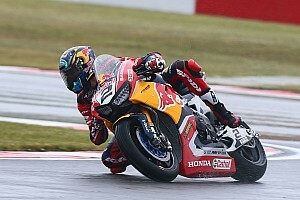 Over the season, Oliveira gained a remarkable 126 positions, seven per race on average. His race form was clearly strong enough for the crown and it would have been fascinating to find out if he could have beaten Bagnaia with a better qualifying record – the answer to which would probably be yes. 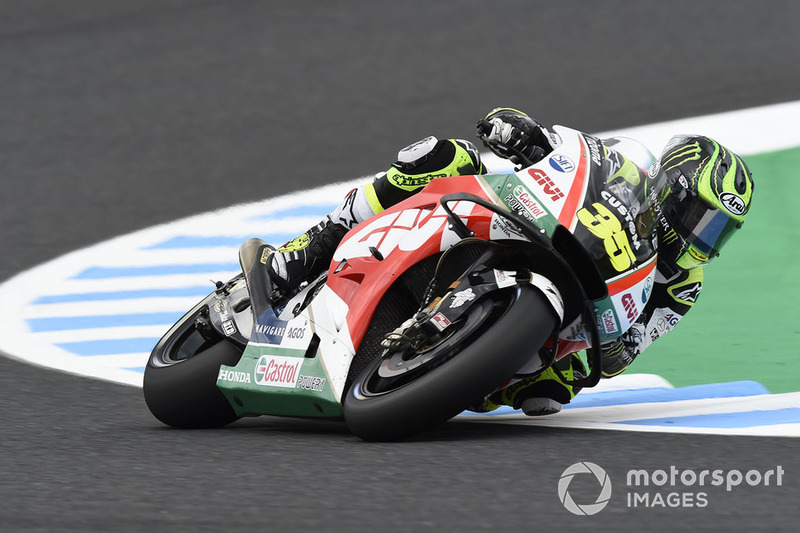 The famously straight-talking Crutchlow was probably right when he described his 2017 campaign, his third with the satellite LCR Honda team, as "average". But 2018 - helped by a much stronger Honda package - marked a definite return to form for a rider who now sees himself firmly as part of grand prix motorcycling's elite. What was more impressive than his Argentina win (which owed as much to Honda stablemate Marc Marquez's meltdown as it did to anything else) or his Jerez pole was the fact he became a consistent top-five presence for most of the year, and for a decent stretch of races was often the 'best of the rest' behind Marquez and the works Ducatis. Those performances were duly rewarded with a new HRC contract, one which Crutchlow says is likely to be his last in MotoGP. But there were still too many crashes for a rider of his experience - 17 across the year, four of which came in races and one in qualifying at Le Mans that left him injured and unable to finish higher than eighth. The last of those falls at Phillip Island left Crutchlow with a season-ending ankle injury at Phillip Island, denying him a likely independents' title and a shot at finishing the year as high as third overall. He also had to miss the post-season tests at Valencia and Jerez, costing him crucial mileage on next year's Honda. Fingers crossed this doesn't prevent him from running towards the front of the pack once again in 2019. 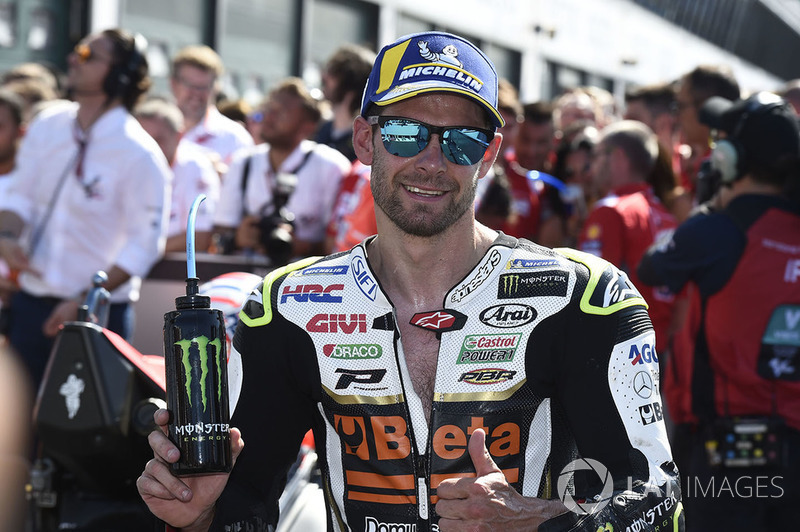 In one vital respect, Crutchlow is the successor to one of Britain's greatest-ever grand prix motorcycling heroes, Barry Sheene. When he won his first MotoGP race at Brno in 2016, it ended a 35-year drought for British riders in the top flight since Sheene's final win at Anderstorp in 1981.